Musician Nicole Turley’s Swahili Blonde had to have been helped along by a healthy, (or unhealthy), consumption of psychotropic chemicals and Diet Coke. If it wasn’t, then Turley gets some credit for bringing Studio 54 and CBGBs to Woodstock, because this is one of the strangest combinations of dub-immersed post-punk and world-tinged dance music I’ve heard. Man Meat, the first album from Swahili Blonde, will be out via Manimal Vinyl on August 3rd and features the groovy “Le Mampatee” (video) and keyboard-percussive “Elixor Fixor” (audio). 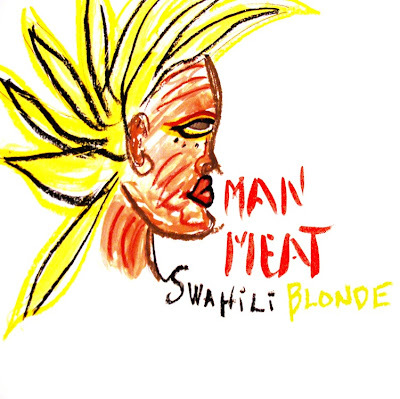 SWAHILI BLONDE - LE MAMPATEE from Burke Roberts on Vimeo.